For the past few years, carbohydrates and their consumption have been a hot topic for athletes, dieters, nutritionists, and health care professionals. Carbs have also been the impetus for many diets, including some unhealthy fad diet plans. To some, “carb” is a dirty four-letter word. Of course, moderation is usually the key to any healthy diet, but carbs have certainly gotten a bad rap, and doctors can be found on both sides of the fence. Some tout the effectiveness and the inherent benefits of low carb diets, while others believe a low carb diet can be unhealthy or even dangerous. I’m not a medical expert or a nutritionist, but I can tell you that I’ve lost weight and improved my overall health with my own low carb diet. In my opinion, the diet won’t work for everyone, but it does work for many people. Maybe you know someone who has shed a lot of pounds sticking to foods low in carbs, and you’re thinking of jumping on the bandwagon. Perhaps, though, you don’t know much about carbohydrates, and maybe you’re not really sure how to shop for foods low in carbohydrates. If that’s the case, I can give you a few pointers. Carbohydrates are natural organic compounds, one of the four major types of biomolecules. The other three are proteins, fats, and nucleic acids. We get the calories to sustain life from carbohydrates, proteins, and fats. Carbs supply the body with the energy and with the ability to store energy, and they also play a role in cell interaction. Basically, there are two types of carbohydrates: simple carbohydrates and complex carbohydrates. What’s the difference? Whether a carb is considered as simple or complex has to do with the number of sugars it contains. Simple carbohydrates have just one or two, while complex carbohydrates are made up of more than two sugars. Simple carbs are found in candy, table sugar, beer, cakes, cookies, fruits, milk, pancake syrup, honey, and some veggies. The complex version can be found in dried beans, whole grain cereals, whole grain breads, and starchy veggies. What does all this mean for dieters? When we consume carbs, the body converts them to glucose. Simple carbs turn into glucose more quickly, while it takes longer for complex carbohydrates to be digested and turned into fuel. With simple carbs, you get a quick “high,” but with complex carbs, you get a slower and steadier supply of energy. The complex version usually contains more vitamins, minerals, and fiber, too. Do humans have to have carbohydrates in order to live? No, according to the research I’ve done, it is possible to live without carbs. Our ancient ancestors were hunters who probably ate very few foods containing carbohydrates. That being said, humans need some complex carbs, especially those that are high in fiber, vitamins, and minerals. Most doctors recommend that adults consume between 225 and 300 grams of carbohydrates a day. If you’re low carb dieting, however, you’ll need to reduce that number – a lot. 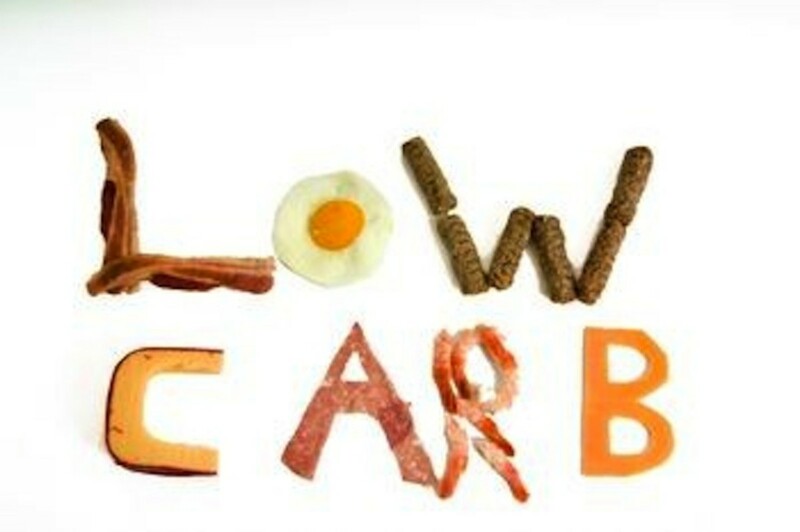 You might be wondering…what is a low carb diet? 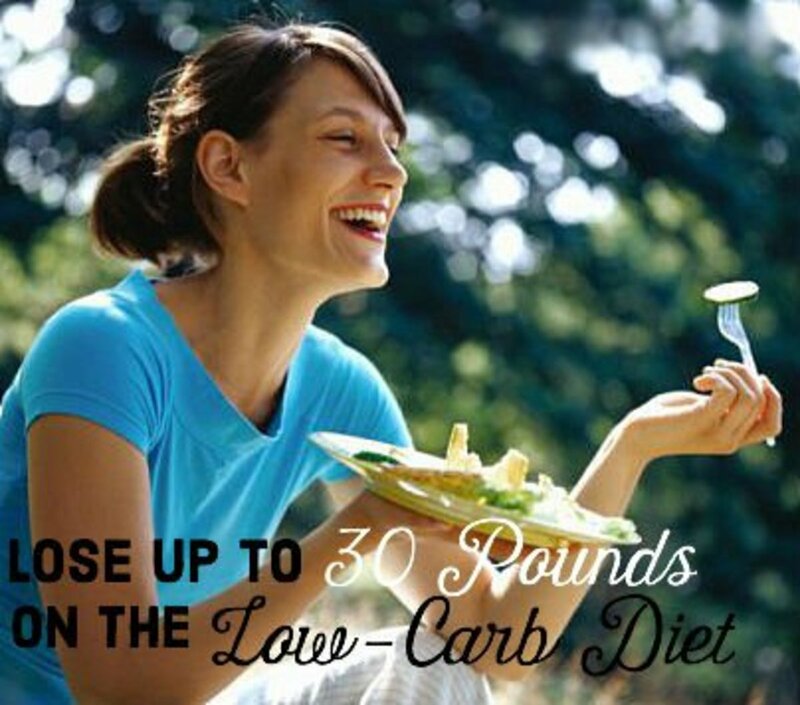 A low carbohydrate diet restricts the amount of carbs you consume each day. These are usually measured in grams. Most of these diets count only “net carbs.” How does that work? Grams of fiber contained in a food are usually included in the number of carb grams. The body, however, can’t process the fiber, so it doesn’t actually deliver carbs or calories. You can subtract the fiber grams from the total crab grams. For example, if a slice of whole wheat bread has 20 grams of total carbs, with 5 grams of fiber, the net carbs would be 15 grams for each slice of bread. How many grams of carbs can you eat? Diets differ in the amount of carbs you’re allowed each day, and some also restrict the amount of fat grams you can consume. “Low” is a relative term. Most strict low carb diets allow up to 60 grams of carbs a day, but some allow more. Also, a low carb diet might begin with a few days when you can’t have any carbohydrates at all. After that initial stage, carbs are gradually reintroduced. Even then, however, the number of carb grams is restricted. Make sure you understand the difference in a low carb diet and a no carb diet. You need some carbs. Just make sure you get them from healthy foods like vegetables, fruits, legumes, and whole grains – instead of from candy bars, potato chips, and French fries. I’ve followed a couple of low carb diets, including Atkins and The Zone. I also tried Weight Watchers, but I didn’t have much success with that one. Other popular low carb diets include Sugar Busters, South Beach Diet, Protein Power, the Caveman Diet, and the Dukan Diet. After trying a number of different strategies, I’m convinced that the only way I can lose weight is by consuming only low carbohydrate foods. Your body might react differently, however. I honestly don’t believe that low carb diets are for everyone who’s trying to lose weight. One of our good friends, Ed, tried to shed about twenty pounds, so he tried eating only lo carb foods. He told me he felt terrible the entire time he was on the diet, with absolutely no energy. He also said he didn’t lose much weight. He switched to a low fat diet and he felt much better – and he lost the weight. My experience has been just the opposite of Ed’s. I tried a low fat diet before trying a low carb diet, but I always felt hungry when I restricted my fats and protein. The low fat diet just didn’t work for me. Even though I was cutting out almost all fat, my weight loss was miniscule. On the low carb diet, the excess weight came off pretty quickly, especially for the first few weeks. I’ve also experienced benefits other than weight loss. I was diagnosed with type 2 diabetes before the diet, but now my blood glucose is normal. My triglycerides and my LDL (the bad) cholesterol have both dropped sharply, along with my blood pressure. My HDL cholesterol, the beneficial kind, has increased. I feel better and have more energy, too. And this is weird: I have a condition called MGUS. In other words, I have multiple myeloma cancer cells in my body, but I don’t have enough to be diagnosed with MM. The MGUS was discovered several years ago, and I have to see my oncologist/hematologist every six months to check my levels. I also have to have bone scans, bone marrow biopsies, and marrow aspirations periodically. Every time I’ve been tested, my cancer levels have risen – until the test I had last month. For the first time, the bad cells have decreased! Two doctors said it could be due to my weight loss. I don’t understand this, but I’ll sure as heck take it. Personally, I don’t think there’s one best low carb diet. I believe it depends on the person and their food likes and dislikes. If you hate all the foods on a diet plan, there’s no way you can follow it for very long. 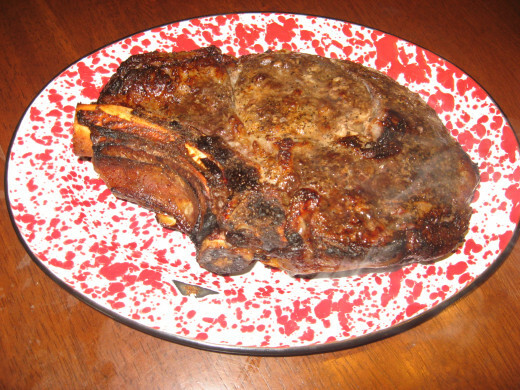 I do well on a low carb diet, probably because I’m a big meat eater. I like sweets sometimes, but I don’t have a raging sweet tooth. The best low carb diet for me is the one I developed myself. When I’m following the diet, I restrict my total daily carbs to 50 grams or less. I consume a moderate amount of fats each day, but I try not to go crazy with fats. I don’t place any limits on the amount of proteins I consume, so I eat a lot of lean flesh. I discussed my specific diet with my primary physician, and she liked it. I make sure to get the vitamins, minerals, and fiber I need every day. I eat lots of healthy cruciferous veggies, like broccoli and cauliflower. I get adequate amounts of calcium from cheeses and from Hood low carb milk. My plan works for me, too – when I stick to it. I’d lost 70 pounds, but I’ve regained 5 or 6 because I took a break from dieting. I’ve just begun the plan again, but I might wait until after the holidays to really hit it hard. I also think the best low carb diet allows you to splurge a little from time to time. Thanksgiving is next week, and I plan on mostly filling up with turkey, pork roast, and a little ham. 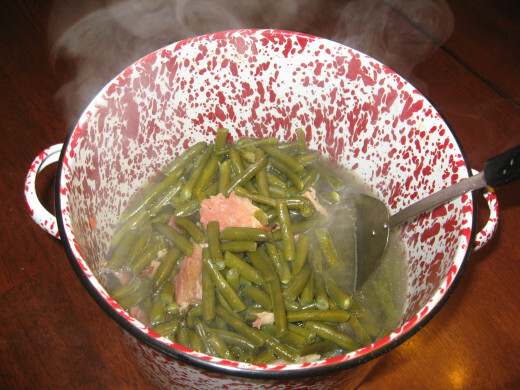 I’ll also have some green beans, and maybe a spoonful of sweet potato casserole. I’ll have to try my (almost) famous old fashioned southern cornbread dressing, and I’ll probably finish the feast with a small slice of pumpkin pie. The day after Thanksgiving, I’ll get back on my diet. This is something that took a long time to “sink into” my thick skull. Just because I “mess up” doesn’t mean the end of my diet. Even skinny folks splurge from time to time – they just don’t do it every day. Whenever I’m following a low carb diet, I get most of my protein from chicken and fish. I consume a lot of eggs and egg whites; baked, broiled, and grilled chicken; broiled and grilled fish; tuna salad; boiled shrimp; crab legs; and broiled scallops. I eat beef or pork a couple of times a week. For side dishes, I eat low carb vegetables. I’ll get into that later. For snacks, I try to stick to cheeses, pork rinds, nuts, beef jerky, pepperoni slices, olives, dill pickles, raw veggies and dips, and a few low carb fruits. I also make my own low carb crackers, and they’re great with cheese or cheese spread. If you consume enough protein at meals, you’ll find that you’re not snacking nearly as much, anyway. Protein keeps you satisfied for a long time. Okay, we haven’t talked about beverages yet. I really like Hood low carb chocolate milk, so I drink a couple of glasses of it a day in order to get my calcium. I also drink lots of water, along with diet soft drinks. To make sure I get plenty of vitamin C, I drink the diet Ocean Spray fruit drinks. I especially like the blueberry version! When I’m dining out, I always take a bottle of Mio with me. I’m not too keen on diet cola drinks, and most of the restaurants I frequent offer diet Coke or diet Pepsi as their only sugar-free beverages. That’s where my little bottle of Mio comes in handy. I just order ice water and give it a few squirts of the sugar-free concentrate. It saves me money, too! I use low carb recipes all the time – for entrees, side dishes, snacks, appetizers, and even desserts. 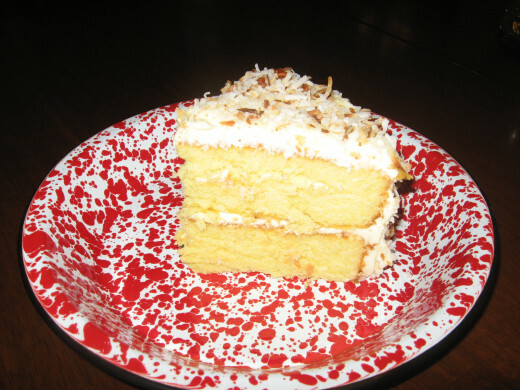 I found some of these recipes on the internet and in cookbooks, but I really like my own versions better. Suffice it to say that I’ve done a lot of experiments in order to come up with tasty concoctions that I find satisfying and enjoyable – without wrecking my diet plan. Some of my specific low carb recipes include BBQ ribs, cheesecake, “macaroni” and cheese, “potato” salad, low carb lasagna, chocolate pie, tacos, burritos, and popsicles. I’ve had a lot of help from Miracle Noodles, low carb tortillas, and Walden Farms products. I’ve also learned to make substitutions that I could live with. For example, I eat creamed cauliflower instead of mashed potatoes, and if I just have to have a potato, I choose a sweet potato instead of a white potato. I’ve also found that Splenda is my new best friend. One thing I had to tackle was food that was battered and fried. As a southerner, I grew up on the stuff, and I often crave it. Of course, the problem is the batter, usually made from wheat flour, cornmeal, breadcrumbs, or some other high carb substance. I found the best alternative was to dredge the food to be fried in soy flour. By using soy flour as the dredging, I can still enjoy fried chicken, fried steak, fried shrimp, fried squash, onion rings, and fried fish. If you decide to go the soy flour route, cut or slice your foods into smaller, thinner portions. The flour browns more quickly than regular wheat flour does, so you’ll need to use foods that don’t require a long time in the hot oil. Are there any no carb foods? Yes, there are. 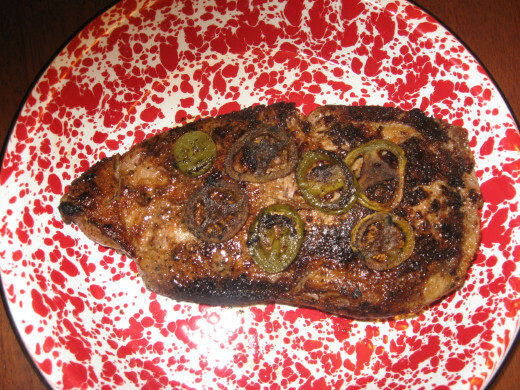 On the no carbs food list are meats, including most types of beef, pork, chicken, turkey, wild game, fish, and seafood. You need to be aware, however, that processed meats and cured meats often contain carbohydrates. I’ll give you a specific example: The first time I began a low carb diet, I figured imitation crabmeat would be a great source of meals – until I checked the package label. It contains added starch, which means carbohydrates. Butter and cooking oils don’t have any carbs, either, and neither does heavy whipping cream. Some brands of mayonnaise are also carb free. 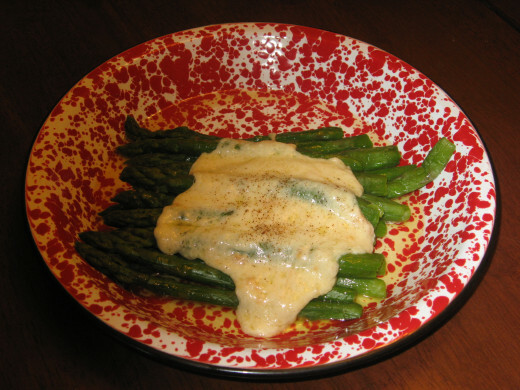 Several types of cheeses are also no carb foods. Add eggs to the list, too. Thanks to the popularity of low carb diets, manufacturers have responded with many new condiments and foods low in carbohydrates. In fact, some are completely calorie-free. I’ve sampled several different brands, and overall, I like Walden Farms products best. They make jam-like fruit spreads, a peanut butter-type spread, dips, caramel sauce, ketchup, BBQ sauce, syrups, and a wide variety of salad dressings. None of these contain any calories, fat, or carbohydrates. One of my doctors told me once that the best way to shop for foods low in carbohydrates, along with healthy foods, in general, was to shop the outer perimeter of supermarkets. When you think about it, that’s pretty good advice. On the outer walls of most supermarkets and grocery stores is where you’ll find fresh fruits and vegetables, milk, cheese, and eggs, along with fresh poultry, beef, pork, and seafood. The really “bad stuff” is usually lurking on the shelves in the center of the store – candy, potato chips, snack cakes, sugar, flour, jellies, etc. You really have to pay attention to labels when you’re looking for low carb foods. You’ll be surprised at just how many grams of carbs some foods contain. Take ketchup, for example. A serving of ketchup is one tablespoon, which has four carb grams. That’s not a huge problem if you have just one tablespoon, but who stops at a single tablespoon? Heck, I probably use a half cup at the time, so that would be eight tablespoons and 32 grams of carbs! I use Heinz reduced sugar ketchup, instead. It has just one gram of carbohydrates per tablespoon, so I save 28 carb grams in a single meal that includes ketchup. That’s a big difference. Even small changes like the one I just described can make a huge difference in your daily carb count, and the changes and substitutions will be pretty painless, provided you plan ahead. I want to discuss dining out, too. I’ve found that it’s pretty easy to go out and stick to foods low in carbs. For an entrée, I usually order a steak, baked chicken, boiled or grilled shrimp, or broiled fish. For sides, I usually have a salad, along with green beans, asparagus, or steamed broccoli. If the restaurant offers creamed cauliflower, I always order that. I love the stuff! 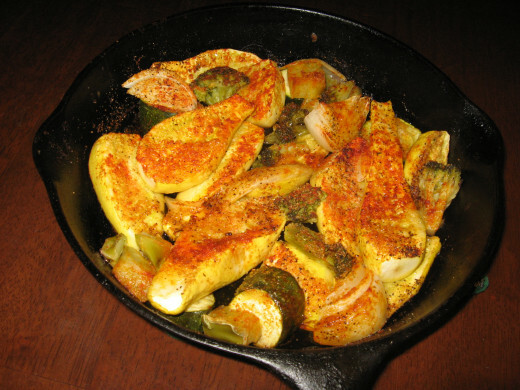 There are lots of low carb vegetables you can enjoy on a low carb diet. These include broccoli, cabbage, asparagus, green beans, yellow wax beans, Brussels sprouts, cauliflower, turnip roots, summer squash, spaghetti squash, zucchini, spinach, bok choy, celery, okra, onions, leeks, green onions, eggplant, snow peas, radishes, alfalfa sprouts, artichokes, cucumbers, bell peppers, hot peppers, and jicama. Even though mushroom is actually a fungus, it’s often prepared as a veggie, and it fits into the lo carb foods list. So do tomatoes, even though they’re technically fruits. Most green leafy veggies are also very low in carbs, including collard greens, turnip greens, mustard greens, lettuces, kale, endive, and radicchio. Herbs are generally low carbohydrate foods, too. Generally speaking, fruits are higher in carbs than are vegetables. That’s because of fructose, the natural sugar that makes fruits sweet. Some fruits, however, have less sugar and more fiber than other fruits, and remember – you don’t count the fiber grams. Foods low in carbohydrates in the fruit category include raspberries, blueberries, blackberries, lemons, and limes. Fruits that have moderate carb counts are strawberries, apples, grapefruit, guavas, papaya, watermelon, honeydew melon, and cantaloupe. 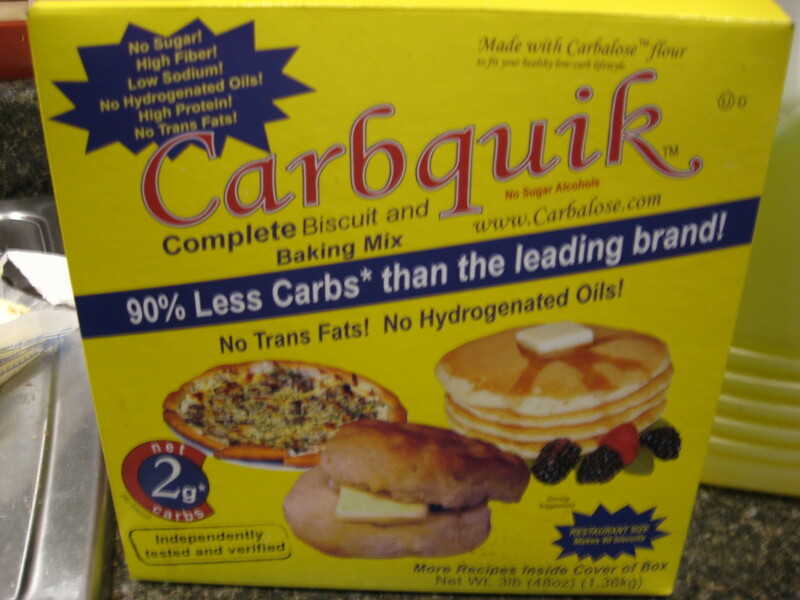 Is there really a such thing as low carb bread? Yep, but you might not like it much. I’ve tried all sorts of breads that are low in carbohydrates and high in fiber, and frankly, some of it tastes like cardboard. The best I’ve found on the grocery shelves is Nature’s Own Double Fiber wheat bread. It’s also affordable, especially when compared to some other brands. Also, I often eat wraps instead of sandwiches. I make them with high fiber, low carb tortillas. I also use the healthy tortillas in low carb recipes for tacos, enchiladas, quesadillas, fajitas, burritos, and chimichangas. I even make my own tortilla chips by baking or frying the tortillas. Oh, they work well for pizza crust, too. I absolutely adore bread. It’s been my biggest obstacle with all the low carb diets I’ve tried to follow. 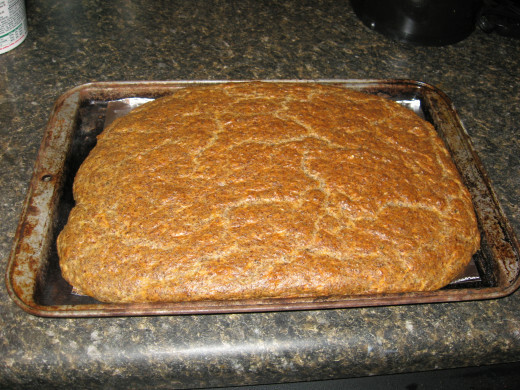 After much experimenting, I created a low carb bread recipe that I actually like. This is a dense, heavy, rustic bread that’s very filling, and it satisfies my bread cravings. I can make it thin and use it for sandwiches, or I can make it into muffins. 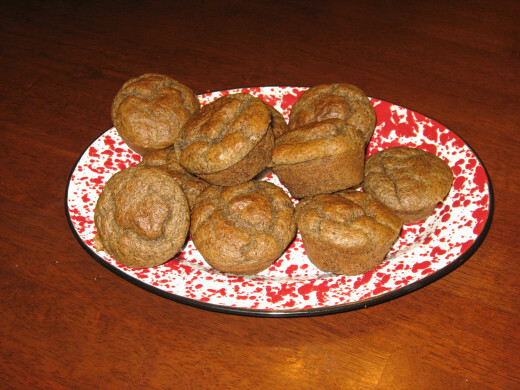 I use the same basic recipe and tweak it by adding Splenda, ginger, cinnamon, and cloves for spice muffins, or by adding grated cheese, garlic, and herbs for sort of a cheesy Italian-flavored bread. Sometimes I include sesame seeds, which provide a wonderful flavor. 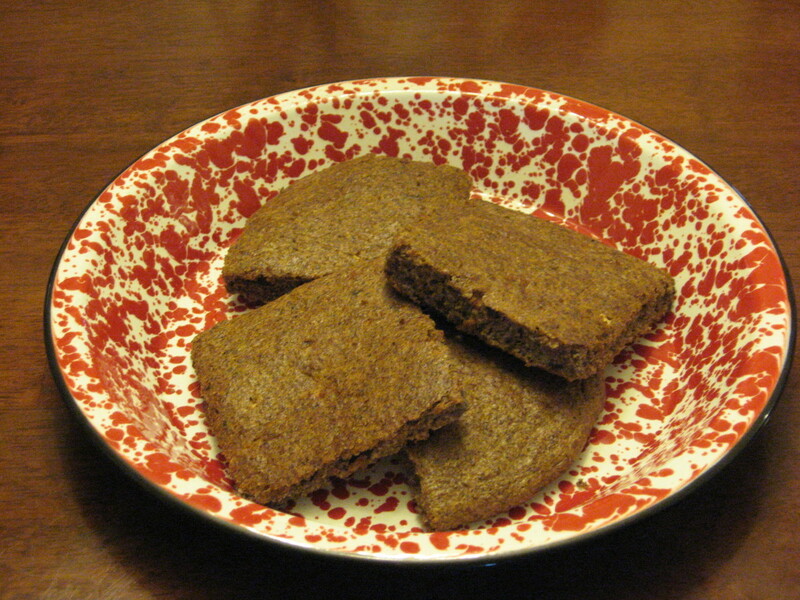 The bread is super healthy because it’s loaded with fiber from flaxseed meal, the main ingredient. If you’d like my low carb bread recipe, just click the link! I was happily munching my way through a stack of Pringles when I started reading this hub but felt compelled to put them away about half way through! Thanks for saving my hips! Thank you, Holle, for this realistic low carb information. Happy your diet is working for you and as a wonderful side effect, also appears to have reduced your level of 'bad' cells. I kind of eat this way naturally. I am not a fan of bread, pasta, rice or potatoes..much prefer real veggies. Just have to watch the fat in meat. However, all diets will work if you stick with them. This one seems less painful and you can have enough good food to feel satisfied. Thanks for sharing all the details..Voted UP.